“Growth” is normally a term with positive associations. 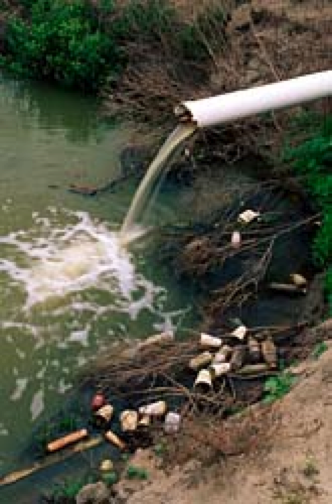 In the case of growing amounts of uncontrolled disposal of solid and liquid wastes and the existence of contaminated sites are a serious problem in developing and emerging countries. Only 50 percent of the waste produced at municipal levels and of hazardous industrial wastes undergo regulated disposal or recycling. Contaminated sites are only rarely remediated due the legal constraints and a lack of financial incentives. Neither the necessary regulatory institutions nor suitable infrastructure exists. Fragmented responsibilities, inadequate personnel and technical capacities at all state levels hamper efficient waste and contaminated site management and make it difficult to meet legal requirements and regulations for waste, the situation is the other way around. The composition of waste is becoming more complex and amounts are growing – not only in industrial countries. Increasing numbers of people produce greater amounts of waste: goods of mass consumption are distributed more quickly than waste disposal structures. As part of any RCR proposal it is accepted that 10,000 tonnes of liquid toxic wastes are generated annually within the country and an appropriate toxic waste treatment facility will be constructed to handle all of this waste and a collection fleet of segregated compartment tankers will be delivered as part of the supply. Free containers will be provided to all registered liquid toxic waste generators for the liquid wastes and a scheduled collection service will be implemented to ensure that none of it is unlawfully discharged or disposed of to sewer or ground. n this estimation quantitative data on the hazardous waste component in municipal solid waste and from the energy sector are not included. (In steel, paint and metal production quantities of hazardous waste are decreasing, because of the drop in production together with process modernization. Free containers will be provided to all registered liquid toxic waste generators for the liquid wastes and a scheduled collection service will be implemented to ensure that none of it is unlawfully discharged or disposed of to sewer or ground. n this estimation quantitative data on the hazardous waste component in municipal solid waste and fr om the energy sector are not included. (In steel, paint and metal production quantities of hazardous waste are decreasing, because of the drop in production together with process modernization. Hazardous waste management is based on the establishment of one Hazardous Waste Treatment Centre with the associated landfill and an incineration facility, serving the entire country considered as one catchment area. Treatment of waste involves method of solidification / stabilisation of inorganic and solid organic waste, incineration of waste and in the short-term perspective, export of liquid organic waste. Export of special waste, such as PCB and batteries is also part of the proposed management system. 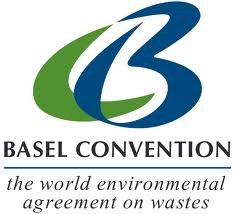 The majority of countries have ratified the Basel Convention on the Control of Transboundary Movement of Hazardous Wastes and Their Disposal. In accordance with commitments under the Convention, the registration and control of waste produced, exported, imported and in transit, as well as enterprises dealing with wastes, must be carried out. Often there is no reliable data on waste produced by electric and electronic instruments, since this category of waste is not specifically classified. 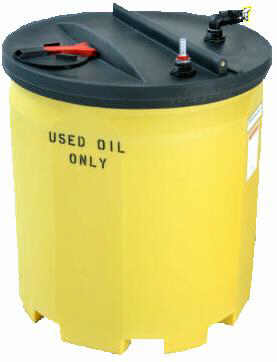 There are no reliable data on hazardous waste volume generated in industry.